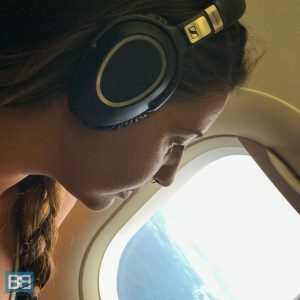 REVIEW – Sennheiser PXC 550 Headphones, The Perfect Travel Companion? + GIVEAWAY! Now I love a good bit of tech that makes travelling a bit easier, more fun or helps share the adventure. Whether that’s shooting pics and videos with the likes of my GoPro and DJI Mavic Pro drone, dealing with emails on my iPhone clocking my dives with the Suunto D4 dive computer – technology can certainly make life on the road a bit more comfortable and enjoyable. 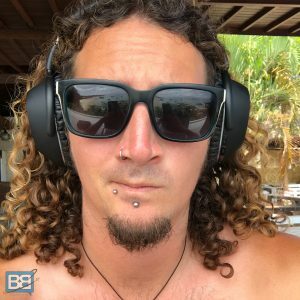 So when Sennheiser approached me to test out their new travel inspired PXC 550 headphones I was pretty keen to see how they’d cope on the road and if they were worth the investment. After 2 months bouncing around Indonesia, numerous hours in airports and even a sailing adventure around Komodo National Park later it’s safe to say I’ve put them through their paces – so here’s what I make of them. 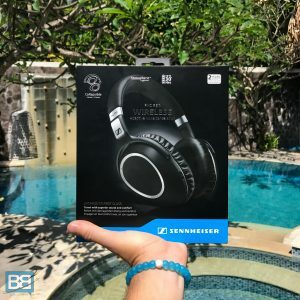 REVIEW – Sennheiser PXC550 Headphones, The Perfect Travel Companion? I absolutely hate cables. My bag is a tangled mess of chargers, laptop cables and all manner of annoying wires. So the fact the Sennheiser PXC 550 headphones are wireless was a welcome addition to my kit bag. Up until now my iPhone headphones were my go to for music and hands free calls but we all know how difficult those things are to keep untangled! The PXC 550 syncs via bluetooth so whether you’re connecting to your phone or laptop they’re super easy to pair – and once the initial pairing is done you simply turn them on and boom you’re good to go. The only slight downside to this is sometimes you need to manually disconnect them if you’re playing around with multiple devices. But it’s still worth ditching the cables for! Even though you’re going to use them as wireless headphones 99% of the time Sehnheiser have also included a cable incase you want to go all old school – which also includes an adaptor for those annoying plane headphone sockets – so you can still use them for your inflight movie! This is by far the best feature of the PXC 550 headphones from a travel perspective. Now I’ve heard some hype about all this noise cancelling stuff but the only time I’ve ever really used anything that does it was on a flight from LA to Sydney when by some divine miracle I got bumped up to business class. They Make Flights So Much Easier! So to have those features on hand anywhere on the road was something I was stoked for! I’ve been sat in busy airports, on planes or simply wanted to take some time out from a noisy hostel common area – popping the PXC 550s on creates my own little bubble where I can relax! Half of the time I’m not even listening to music – I’m just enjoying the silence!haha! And sure they’re not 100% noise cancelling, nothing is, but the quality is epic and overnight buses or long haul flights are certainly more bearable now! Alongside this feature is the fact the PXC 500s also have an inbuilt mic so you can use them for a hands free phone experience too, paired with the noise cancelling it makes calling from anywhere waaaaaay easier – as the noise cancelling tech also strips out the background noise for the person you’re calling too. Their marketing tagline “upgrade your experience to first class” really is true! Ok so with all this fancy tech built in the battery life is going to be rubbish right? Nope – Senheiser have gone all out with the battery life on the PXC 550 headphones and they boast up to 30 hours on a single charge! Realistically if you’re making calls and have the noise cancelling on full function you’ll get a bit less than that, but you’re still getting more than enough juice. They’ll easily cover that overland border crossing from Thailand to Cambodia or that horrendous 3 part plane journey to your next adventure…you know…that one with the 12 hour layover that you thought was worth saving $50 for! And as an added bonus if you do run out of charge (or forget to charge them!) using the included cables also allows them to work as passive headphones. Sure you wont get all the noise cancelling and what not, but its good to know they’ll still work! Sennheiser are pitching the PXC 550 headphones as an epic set of travel headphones – and obviously the technology they’ve packed in certainly fit the bill. But how about the overall experience on the road with them? I’ve already touched on the fact they come bundles with an adaptor for the plane, which is hugely appreciated, but how about the main niggle when it comes to adding something new to your kit bag – size? I’ll admit that these aren’t going to be the smallest item in your luggage and they’re certainly a lot bigger than ear bud headphones (obviously!) but the snap and fold design of the PXC550s do greatly reduce their footprint in your bag. They’re not the smallest, but honestly I feel it’s worth the trade in size for the extra features and battery life that the PXC 550 provides. If you’re chilling out to some awesome tunes or watching some movies or having a Skype date with your significant other you don’t want to sacrifice function over comfort. The PXC 550s are actually heaps comfortable to wear and the padding around the headband as well as the headphones themselves mean you aren’t going to want to cut your experience short because you aren’t sitting in comfort. So yup – don’t worry about that! Admittedly I never used to use headphones much on the road – but having the PXC 550s in my bag has really changed that. Honestly I’m blown away with how much I like using them and I can’t really convey how much I love having the noise cancelling features on the road! I can 100% recommend them. That being said though – the PXC 550 headphones are a pretty big investment and will set you back around £325. Yeah, they’re not cheap hey? However if you love listening to music or work on the road then they’re certainly worth the splash – with amazing sound quality that you’d expect from a premium audio brand like Sennheiser and a whole heap of features that really are designed to make travelling much more comfortable and enjoyable. Have you tried out the PXC 550 headphones? REVIEW - Sennheiser PXC 550 Headphones, The Perfect Travel Companion? + GIVEAWAY! Thank you for your review of the Sennheiser PXC550 Headphones. I really do believe that spending the extra money for a quality pair like these is quite worth it. Yeah I’m absolutely loving them! 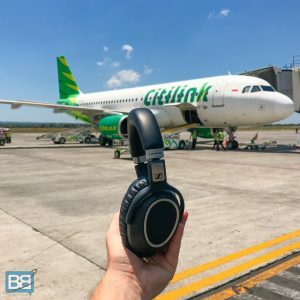 I often travel and headphones are the lifesaver while you are on the bus or train, plain… Music is very important to me so I need some quality headphones like Sennheiser PXC550. They are so comfortable, battery life is great, the sound is so clear and good. Do you think that spending the extra money is worth it? This new Sennheiser headphone is really very good and the sound is amazing and the feel of the sound is perfect. I have one pair of this headphone. its a perfect choice for travellers because its battery is long lasting. your article will be helpful who are going to buy headphones. keep sharing this type of information.